For me, Prague will always be something special. I studied there for a semester and I had a great time. 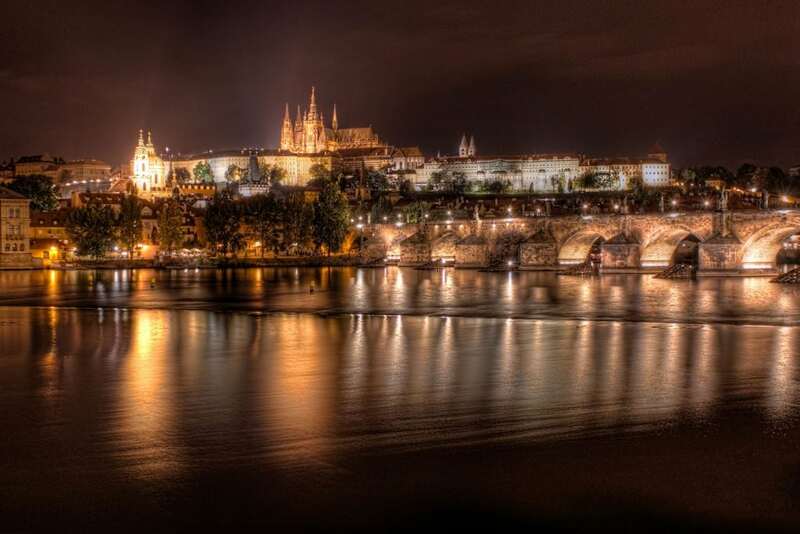 Prague Castle (Pražský hrad) and Charles Bridge (Karlův most) are certainly the most photographed sights. I know it’s the standard shot of Prague, but I desperately wanted to take it. In the background you see the St Nicholas Cathedral (Kostel svatého Mikuláše) and the big street is called Karmelitská. 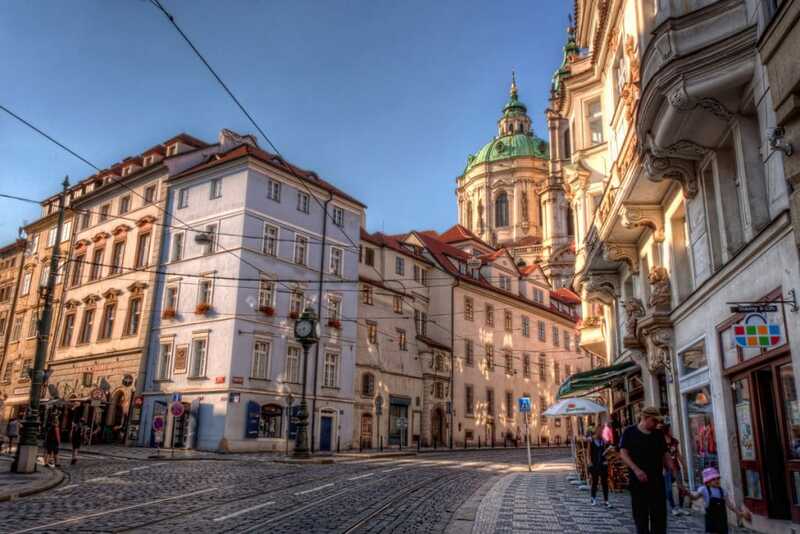 But if you’ve ever been in Prague, you know how busy that street is. It took something like 15 minutes of waiting to get this shot without cars/ trams/ tourist groups crossing the scene. 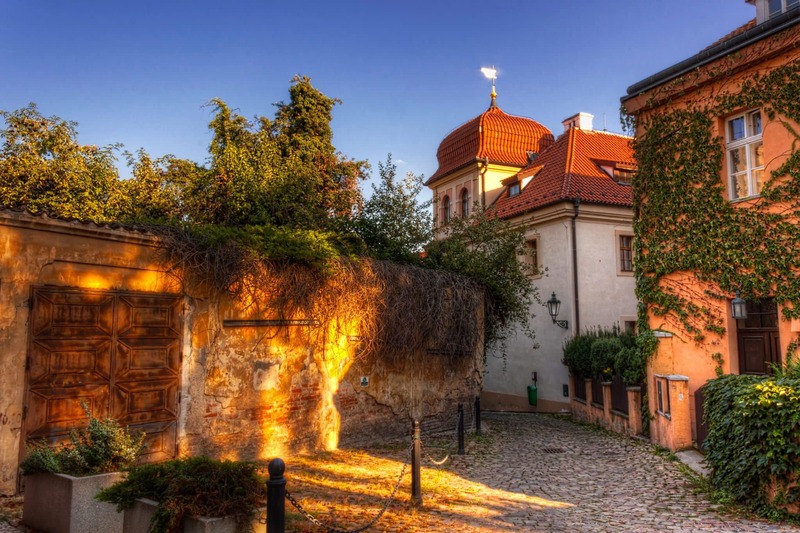 The alley is located close to the Prague Castle, but that hidden that you probably will only meet locals. Actually we were just on the way to some hill to use the golden hour to shoot some photos on which Prague would be able to justify its name “Golden City”. As you can see, the golden hour had already begun – the timing for this shot couldn’t have been better.